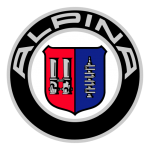 Alpina works closely with BMW and their processes are integrated into BMW’s production lines, thus Alpina is recognized by TÜV as an automobile manufacturer, in contrast to other performance specialists which are aftermarket tuners. For instance, the Alpina B7 is produced at the same assembly line in Dingolfing, Germany, along with BMW’s own 7-Series. For the 2011 model year, the B7’s twin-turbo 4.4-liter BMW V8 is assembled by hand at Alpina’s facility in Buchloe, Germany, before being shipped to BMW for installation, and the assembled vehicle is then sent back to Alpina for finishing touches.